Our law enforcement professionals, with decades of criminal justice experience, will work with the family of the accused in a courteous, professional manner. We will explain the process and treat you, our clients, with dignity and respect. Our Bail Bondsman will always provide the accused the fundamental PRESUMPTION OF INNOCENCE and work with you to get your loved one home as quickly as possible. North Country will provide 24 hour bail bonds service. North Country Bail Bonds proudly serves clients in Albany County, Clinton County, Essex County, Fulton County, Montgomery County, Rensselaer County, Saratoga County, Schenectady County, Warren County, and Washington County, including the Cities of Glens Falls. 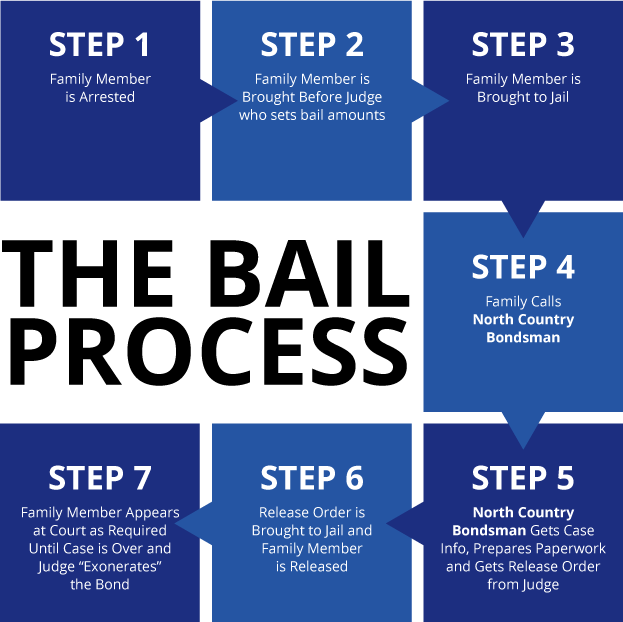 The staff at North Country Bail Bonds, LLC has compiled the applicable statute and constitutional amendments pertaining to bail which govern all New York State prosecutions.